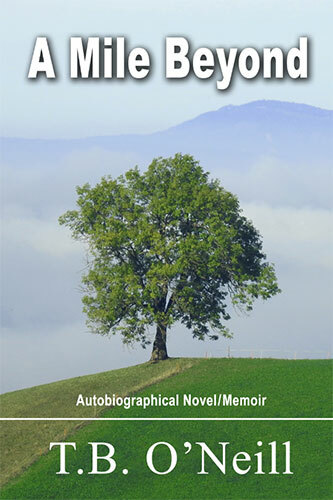 This autobiographical novel is a stand-alone story, but also a telling prequel to Dangle Him Purposely. For this family, alcoholism and violence are as familiar as an empty stomach. During an era when economic growth brought prosperity to a vibrant nation full of peacetime hope, the promise of easy living passes by the O’Neills. Though Tim’s mother tries: braided rugs hold back dampness from rough-hewn floors, sheer curtains adorn sweaty windows, and the cupboards are stocked the first half of the week. Eventually, a TV arrives, far before the bedroom and bathroom are added, engaging nimble young minds, and delivering the myths of America through gallant TV heroes like Jim Bowie and Davy Crockett. The boys learned lessons of courage and dignity well earned by honest, good men battling oppressors of the weak and fearful. Regrettably, Tim’s father falls short of this ideal. In stark contrast, life for this family is low and mean and undeserving. This is a tale that takes you down the dusty, gut-cramping road of poverty; the history of a working-class family who found and then lost their way. Well-intentioned parents terrorize their children, abandon them in large and small ways, and by default teach them independence. They journey across the country and back again, from the calm, rural California to beach towns in Florida, to mountain towns and desert towns and the raucous boulevards of LA and Oakland. Before they are done, the O’Neills will swim in the Pacific and the Atlantic, cross the Mississippi, and wade in the marshes of Georgia, and ponds running into the Chesapeake Bay. In the West they will look down upon a dozen crystal clear, rushing rivers. Each time, the water will cleanse their worried souls, but remind them that they are but nomads in a vast and dangerous land. Their travels leave them yearning for a home, but through it all there is hope, just over the hill, perhaps a mile beyond. In Dangle Him Purposely, Tim O’Neill’s family finally finds a home and tries to fit in. This is the story about what brought them there.